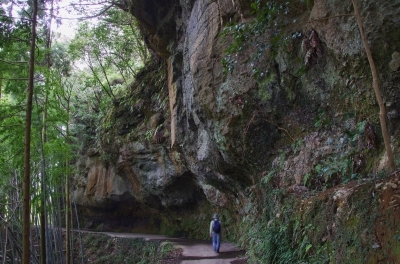 Nikubuse no Kiridoshi is a road built by carving the wall of a castle site. The ceiling is so low that some people can reach it. In the old times, people used to hold parties here on rainy days.